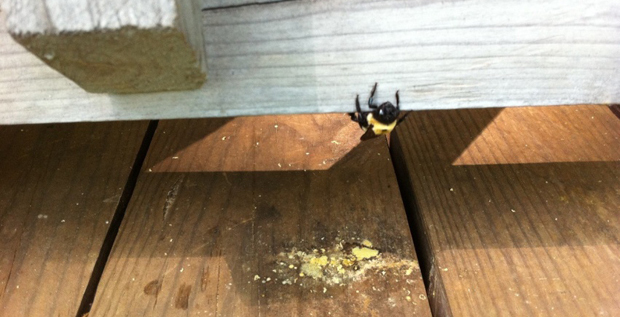 Carpenter bees, being different from their bee relatives, are usually tunneling into decks, porches, and other wood structures. So, homeowners feel annoyed with these little pests. If you are troubled by the carpenter bees, you may find some useful methods here to help you get rid of them. When you choose wood furnishings or other wooden structures, please pay attention to the exterior parts. Choose the one constructed out of hardwoods if possible. Carpenter bees are likely to excavate untreated, unfinished wood, so never leave the affected area alone. Or you’ll find the carpenter bees occur in the same nesting sites next year. Vacant holes in the wood surface should be filled with steel-wool or STUF-FIT Copper Mesh to prevent bees’ reuse. Painting or varnishing your wood seems an effective way. Try it if possible. 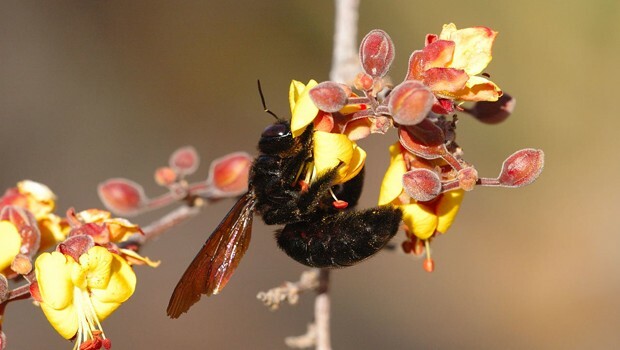 Carpenter bees become most active in spring. So, you should apply the insecticide dust before spring. If you miss the time, the adult bees emerged and you will need to treat the nests twice. You’d better to apply the insecticidal dust at night because the bees will be active during the day. Remember don’t use banned pesticide products for they are harmful for your health. The WD40 spray seems effective for some users. Spray a good amount of it into each hole created by the bees and you will find the bees fall out and die. Petrol or diesel sprays are also options for killing the bees. There are some professional traps in the store for carpenter bees. If you want to make traps by yourself, prepare a 20oz drink bottle and six small pieces of wood and search the internet for a video to learn how to do. Look for an exterminator to help you get rid of the bees efficiently if the situation in your house is serious.